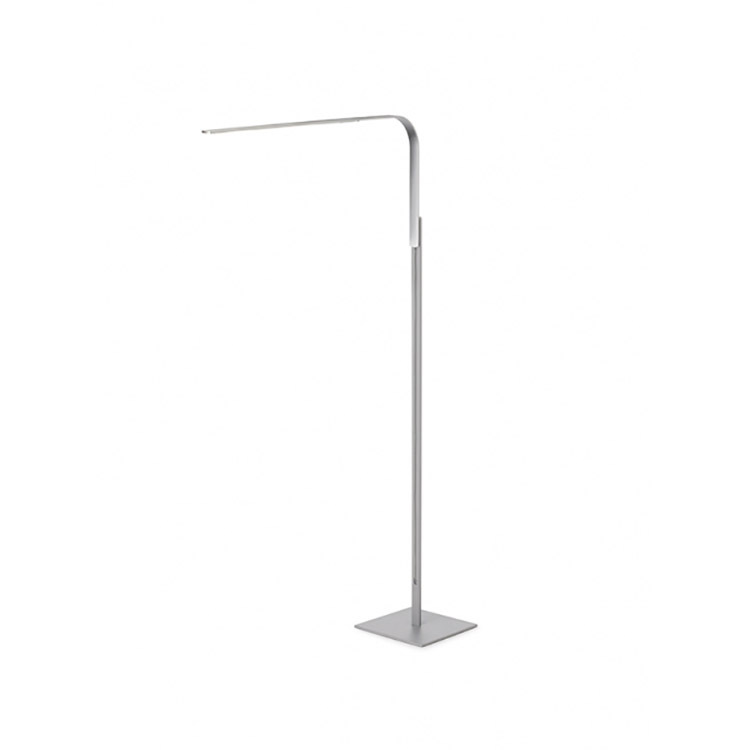 Floor lamp arm measures 24″ deep (lamp is 29″ deep with base), 42-51″ high, and 9″ wide at the base. The Lim LED Task Lighting Collection is a multi-purpose, multi-task LED light with a minimalist, modern structure and multiple configuration options. The sleek arm discreetly attaches via magnet and conceals an array of high powered LEDs to magnify a brilliant, warm, and dimmable light source. Designed by Pablo Pardo (2009). Available in brushed silver, black or white. Hi/low light controls illumination from a 3300K high output LED source. Lim uses only 7W of power (90% more efficient than a comparable halogen light source, 40% more efficient than CFLs). 97% of material is recyclable. Lasts for 50K hours or 25 years of daily use. Add a second arm with magnetic connectors to the opposite side.